Hey all! Chicken lovers… this is especially for you! Welcome to the yummy collection of chicken recipes. Chicken is just one dish where innumerable variations are possible. After all variety is the spice of life! We buy chicken only once in 2 – 3 weeks, and every time I get my hands on the chicken, I try to make a brand new dish! So far I have more than 100 chicken recipes in the blog and far more interesting recipes in my drafts, waiting for their time to find a place in my blog . Hover the mouse over the picture to read the name of the dish and please click on the pictures to go to the recipe. So here goes, all chicken recipes together in one place! Who doesn’t love munching snacks! Instead of going in for store-bought or frozen snacks, try making it on your own! All the snacks/ appetisers listed below are really yummilicious!! My favorites are chicken puffs, tandoori chicken, chicken pakoras, chicken drumstick fry, chicken 65, baked chicken nuggets and chicken wings roast. Kids would love chicken rolls, cutlets, nuggets and bread pizza. And, If you are in the mood to go international….. go for shish taouk aka Lebanese chicken kebabs. Wraps and rolls are something that always catches my fancy! They are easy to make, fills a hungry stomach and less messy too! Do u need another reason to try it? Start with the yummy Mexican chicken quesadilla, flautas, fajitas and Greek gyros. I am sure you will fall in love with them! You might also want to try an Indo-chinese twist on dosa – spring roll dosa and the Calcutta street food, kathi rolls. You may not find many sandwich recipes here, they are soon to follow! When I have guests, I always go in for vegetable pulav /matar pulav / veg biriyani/ fried rice and a chicken / mutton dish. I usually pair vegetable pulav with coriander chicken curry, nadan chicken curry, chicken chettinad, chicken chilly roast, Mughlai chicken qorma, chicken tikka masala or Kerala style chicken kurma. 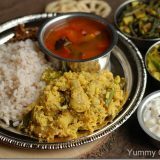 Curry leaf pepper chicken and fried chicken masala are our recent favorites, they goes really well with porotta, plain rice, pulav, chapathis etc. 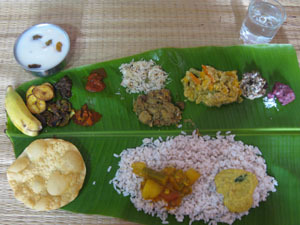 Chicken stew, Chicken mappas, Trissur style chicken and potato curry are the best combos for Kerala appam, kallappam and idiyappam. Butter chicken and chilli chicken goes really well with fried rice. With plain white rice/ Kerala rosematta rice, you can try chicken roast, pepper chicken, chicken thoran or chicken peralan. Need some more? Do you have any favorites? The combos are endless and the choice is really yours! 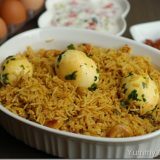 During my first year of marriage, I used to always make Kerala chicken biriyani whenever we had guests. Slowly, I got bored of it and I needed variety ! I decided to try different biryanis. Green chicken biriyani got me hooked! It is easier to make compared to the traditional chicken biriyani and will be loved by everyone who likes the flavor of coriander leaves and mint. And if you don’t have time for an elaborate biriyani, you can go for this chicken pulav or the flavorful and delicious Thai chicken fried rice. Mixed noodles and chicken fried rice were my favorites as a kid! Now get those chickens out of your freezers, defrost it and cook! Do let me know what you all made! I hope this post on chicken recipes was useful to you. Happy cooking!